In August, I had the honor of being the co-organizer of a symposium at the American Fisheries Society Annual Meeting titled “Ten Years of Science-Based management in U.S. Fisheries: Progress and the Road Ahead” with my colleague Jake Kritzer. A distinguished group of eight speakers joined us to present papers on topics ranging from the evolution of the Magnuson-Stevens Act to the benefits that science-based management has yielded for Alaskan fisheries, and discuss how the Act has performed and how to tackle the challenges that remain with fisheries scientists and managers from across the country and globe. Speakers included scientists, managers, and a commercial fisherman and covered a geographic range from Florida to Alaska. Some of the speakers approached the subject with experience that extended back to well into the previous versions of the Act. The consensus could be best summed up by one a point made by Dr. Mike Sissenwine, a council member of New England Fishery Management Council, early in his presentation: Science-based management has worked. Overall, the group concluded that the current incarnation of the Magnuson-Stevens Act has greatly improved conservation outcomes. 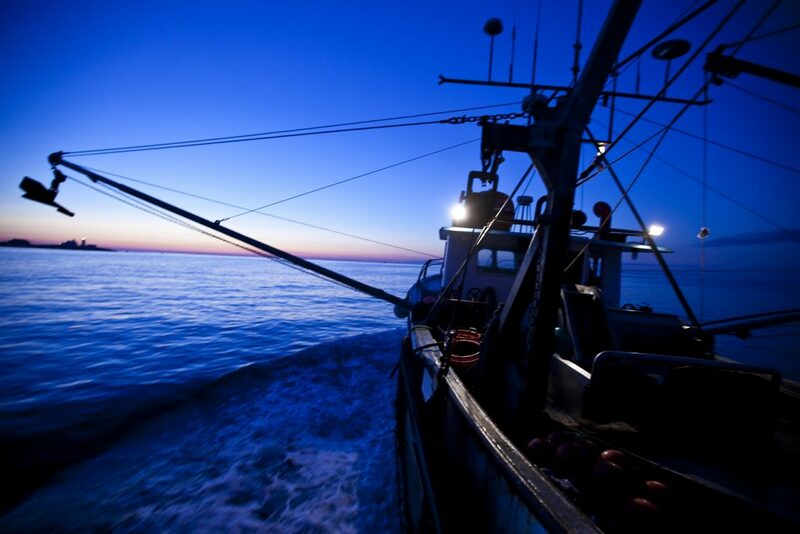 Since the reauthorization, overfishing has decreased dramatically and a significant number of stocks have been rebuilt. EDF Gulf Director, Robert Jones, after a recent fishing trip. 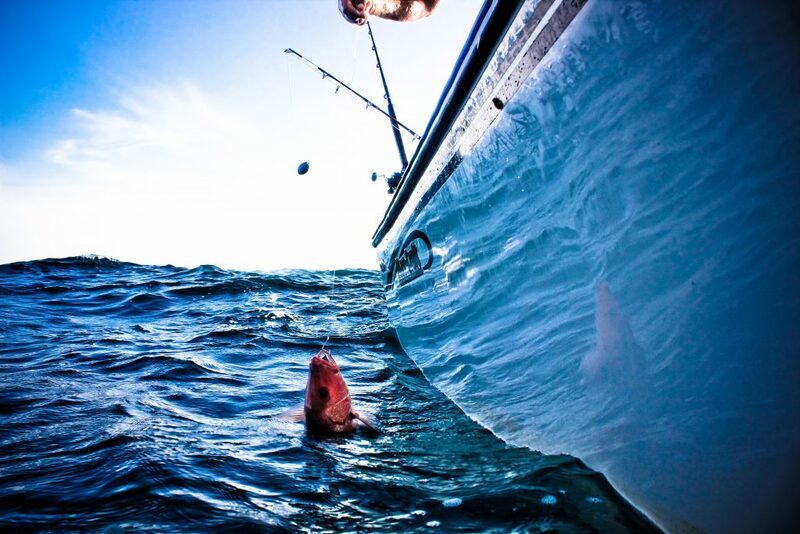 Fishing gets in your blood. As a kid growing up on the Texas coast, I spent as much time as possible on the water. Today, an inordinate amount of my time and treasure goes toward maintaining an offshore boat so I can get my salty fix on weekends. I’m one of millions of Americans for whom fishing is a lifestyle. And I’m part of an overwhelming chorus of Gulf anglers who are sick and tired of the broken way we manage recreational red snapper fishing and are demanding change. 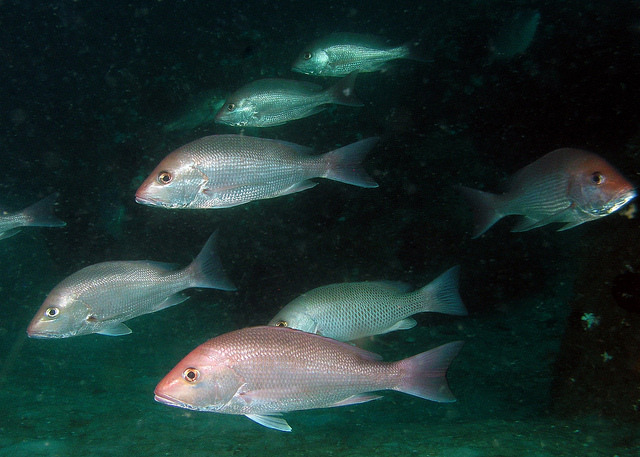 The recovery of red snapper is an incredible opportunity. As the stock has rebounded over the last decade, the total amount of catch available annually has grown from 5 million to 14 million pounds. 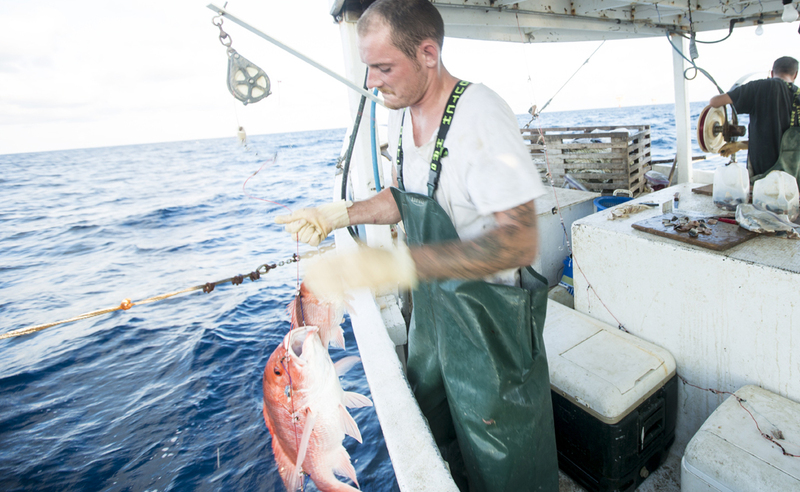 For seafood businesses and consumers, that has delivered tremendous benefits, increasing the value of the commercial fishery from $37 million to $220 million and making delicious Gulf red snapper available year-round in restaurants and grocery stores. But it’s an entirely different story on the recreational side. Instead of anglers and recreational fishing businesses throughout the Gulf reaping the benefits of recovery, we are stuck in a downward spiral of recreational management failure. Anglers are catching more and bigger fish in state seasons that have become longer and longer – up to 365 days in Texas. As a result, 81% of angler quota is now caught in state waters meaning federal seasons are getting shorter and shorter – like this year’s original three-day season. This has been suffocating our access to the best offshore fishing grounds. Then last month, the feds did a complete about-face, opening the floodgates with an “all weekends, all summer” recreational season. 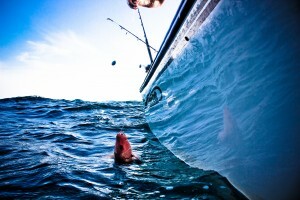 The problem with this approach is that it will lead to a massive breach of the very science-based catch limits that have brought red snapper back from the brink. We estimate that under the new 2017 season rules, recreational anglers could take as much as three times their safe limit, jeopardizing the fishery. 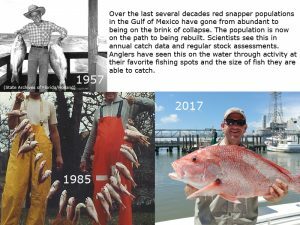 This is a recipe for repeating the disastrous overfishing of previous decades, and returning to the days when my dad and I could barely find a red snapper on a trip. Today we filed a lawsuit to ensure that doesn’t happen. To be clear, we are not trying to end this year’s recreational season and we don’t think fishermen should have to pay the price for the Commerce Department’s misguided decision. For us, going to court is about more than preventing a return to overfishing: it’s about breaking the cycle of profound recreational management failure and catalyzing innovative, solutions-oriented reforms. The good news is there are plenty of smart ideas out there that can achieve conservation goals, improve fisheries data, and give anglers more access and flexibility. For example, headboat captains led a pilot project allowing them to take anglers fishing year-round in exchange for requirements they count and report every fish they catch. Charter operators are implementing new electronic reporting systems that provide managers with data in close to real time. Louisiana’s LA Creel data collection program is an example of states working with anglers to deliver a clearer picture of catch rates and provide opportunities for an expanded state role in management. And there are tools that have long worked for hunters that should be considered in the red snapper fishery to improve angler access. Now is the moment to build out and scale up these new approaches to how we manage recreational fishing. 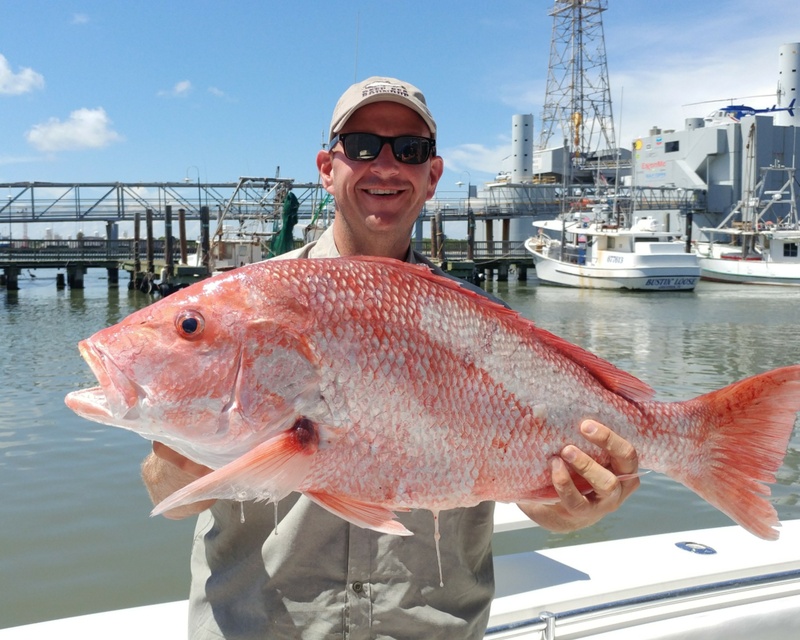 Working together, we can ensure a healthy red snapper stock, extend the success of our Gulf seafood industry, give anglers flexible access, and ensure that future generations of Americans can enjoy the thrill of catching red snapper. Robert E. Jones, a lifelong recreational fisherman, was raised in Corpus Christi, Texas. He is director of Environmental Defense Fund’s Gulf of Mexico Oceans program.